In 1984, I removed the back of my floor model TV and hard wired my tower speakers to it, creating a home theater effect. At the age of 13, I almost invented surround sound had it not been for the discipline I got for altering the TV. 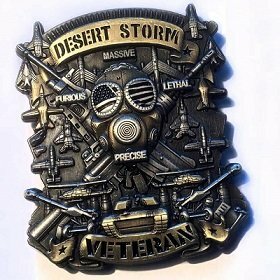 I did not know what I was doing at the time, but I have always had a gift for low-voltage wiring. Not only do we specialize in TV wall mounting, we offer low voltage wiring services. Our 30 year resume includes security, cable, satellite, phone, internet, and Audio/Video wiring. 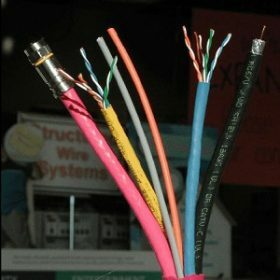 Residential and commercial wiring is becoming less popular for 2 reasons. Commercial and residential prewiring eliminates the need to have outlets and cables installed for devices, TVs and home theater. Wireless hotspots, streaming devices, network extenders, and stronger wifi speeds eliminate the need for coax and network wiring in most homes and businesses. 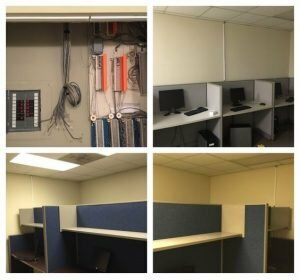 There are still needs for additional wiring in businesses and homes such as Point Of Sales, computer workstations, phone systems, dead spots, high speed gaming, video conference, security cameras, home theater upgrades, and more. Broken HDMI cables are becoming more and more popular due to homeowners and pre wire contractors mishandling and not properly routing the cables. 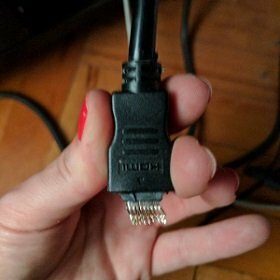 If you don’t have enough length on the HDMI cable or other cables coming out of the wall, moving the TV will damage the fragile heads on the cables and may even damage your TV’s inputs. HDMI cables and other low voltage cables attached to TVs on Full motion wall mounts are moved around a lot and are easily damaged. Our low-voltage experts have various methods of replacing HDMI cables and other AV wiring for your home theater system. If you are having a home built or have an unfinished room where you want to install a home theater system, pre-wiring is your best option to save time and money. 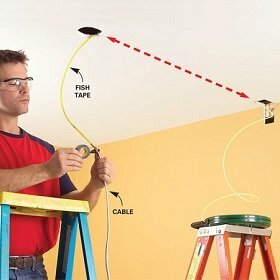 Having the projector and speaker cables routed through the studs prior to drywall installation is vital for wire concealment. After the drywall goes up, your options for hiding the wires is limited and can be expensive. It may require a retro job, drilling through studs and digging into installation, which is not for amateurs. 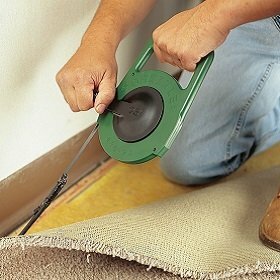 A retro job requires special tools and hardware for routing the cables, notching the studs, and reinforcing the studs to make sure the cables are not damaged during drywall repair. 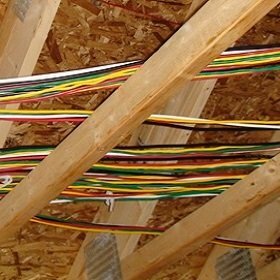 Retro wiring can be very messy and time-consuming due to plumbing, installation, and other wiring and obstacles in the walls. In 2-story homes, cables can be added to the upstairs rooms through the attic if you have a pull down door and attic access above the rooms. This is perfect for installing ceiling speakers, volume controls, projectors, HDMI splitters, and ceiling mount TV installations. Rooms with carpet give us another option for running speaker wire and other thin cables. 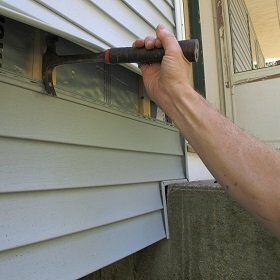 We can also use Vinyl siding to run low voltage cables around rooms with hardwood flooring and other obstacles. We do not wire through crawl spaces or under houses unless the crawlspace is tall enough to stand up. 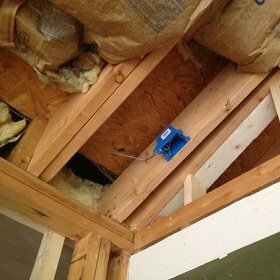 You can see more of our low voltage wiring pictures and images by visiting our Pinterest page.